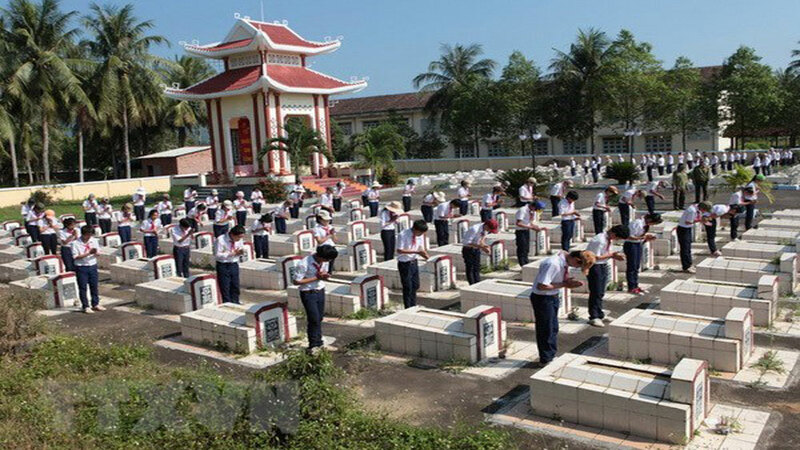 Minister of Labour, Invalids and Social Affairs Dao Ngoc Dung and Minister of Information and Communications Truong Minh Tuan co-chaired a meeting in Hanoi on March 8 to discuss a plan on building a portal on martyrs, their graves and cemeteries. It will also provide and handle information from the public, give support in offering incenses and renewing graves during festivals and holidays. Speaking at the event, a representative from the Vietnam Post Corporation (VNPost) said the portal needs a software to collect and search data, supplement and verify data at the Ministry of Labour, Invalids and Social Affairs (MoLISA)’ Department of National Devotees. As scheduled, units concerned will collect data and develop the software in March – April, refine the software in May-June, and launch the portal in July. In late 2018 – 2019, more data will be updated. 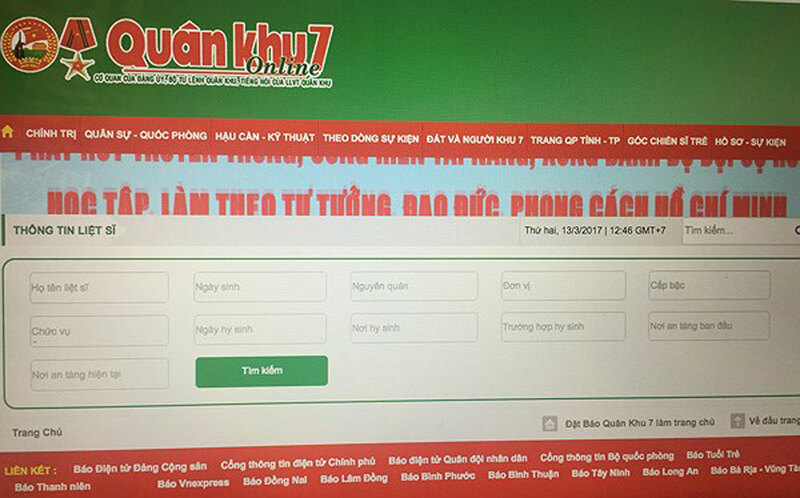 Several opinions suggested that the portal should use the same domain thongtinlietsi.gov.vn built by the MoLISA, the Ministry of National Defence and the Ministry of Information and Communications. Minister Tuan asked the VNPost to study how to search data in the simplest and fastest way. Minister Dung requested the Department of National Devotees send notices to the Secretaries of the Party Committees and Chairmen of the People’s Committees of cities and provinces nationwide directing the Departments of Labour, Invalids and Social Affairs to work closely with the VNPost on data collection. Over the past 5 years, over 75,000 sets of remains of fallen soldiers have been found and reburied. The portal should be announced before Day of Invalids and Martyrs (July 27), he said, noting the work as a tribute to those who rendered services to the nation. According to the Ministry of Labour, Invalids and Social Affairs (MoLISA), Vietnam has more than 9 million revolution contributors, including 1.2 million fallen soldiers, 127,000 Heroic Mothers, and 800,000 war invalids. Over the past 5 years, over 75,000 sets of remains of fallen soldiers have been found and reburied. Of the total, 16,600 sets of remains were repatriated from Laos and 15,100 sets brought back from Cambodia. The Party and State’s preferential policies have benefited 95.75 percent of the revolution contributors. Caring for revolution contributors is an important and frequent political task of the Party and State. ® Each reproduction of any part of this publication must contain clear reference to "Bac Giang Online".